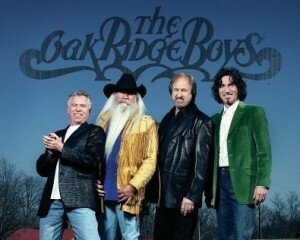 Tyler, Texas- The Oak Ridge Boys will perform in concert at 7:30p.m. on Saturday, November 1, in Tyler’s Caldwell Auditorium. Every time they step before an audience, the Oaks bring four decades of charted singles, and 50 years of tradition, to a stage show widely acknowledged as among the most exciting anywhere. Each member of the band remains as enthusiastic about the process as they have ever been. The group’s first personnel change in many years occurred in 1987 when Steve Sanders, who had been playing guitar in the Oaks Band, replaced William Lee as the baritone singer. Late in ‘95, Steve resigned from the Oaks and exactly one minute aftermidnight on New Year’s Eve, Duane, Joe and Richard surprised a packed house at the Holiday Star Theatre in Merrillville, Indiana, by welcoming William Lee on stage and back into the group. The hit makers were finally together again! “We’ve experienced a lot of longevity,” adds Sterban. “I think the reason is the love we have for what we do—the desire, the longing to actually get up there and do it. We love to sing together…to harmonize together. It’s what our lives are all about. The Oaks’ new music attracted the attention of a younger audience, while reminding dedicated fans that their favorite group is ever-evolving. Tickets are priced from $100 each for a front-row seat with a meet-and-greet with The Oak Ridge Boys and $50, $35, $30 and $25 for remaining seating. Tickets may be purchased online at www.GreatConcerts.net or by phone at 903.572.3957. 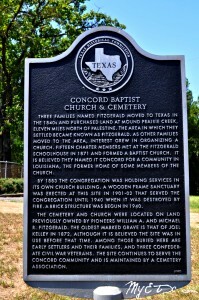 Caldwell Auditorium is located at 300 South College Street in Tyler. Montalba- The rolling hills of Montalba, located approximately 11 miles north of Palestine in Anderson County, is some of the most beautiful countryside in the Pineywoods. If you visit the area you will certainly understand why the brave pioneering family by the name of Fitzgerald was inspired to move into the hilly forests in the 1840s.